Since WWII, Calvin Barr has lived with the secret that he was responsible for the assassination of Adolf Hitler. Now, decades later, the US government has called on him again for a new top-secret mission. Bigfoot has been living deep in the Canadian wilderness and carrying a deadly plague that is now threatening to spread to the general population. Relying on the same skills that he honed during the war, Calvin must set out to save the free world yet again. THE MAN WHO KILLED HITLER AND THEN THE BIGFOOT follows the epic adventures of an American legend that no one has ever heard of. The Man Who Killed Hitler and Then the Bigfoot was released on Blu-ray and DVD 24d ago in the US. Notify me when The Man Who Killed Hitler and Then the Bigfoot is available. Based on 6 The Man Who Killed Hitler and Then the Bigfoot reviews, The Man Who Killed Hitler and Then the Bigfoot gets an average review score of 59. If there’s one thing The Man Who Killed Hitler and Then The Bigfoot does right– aside from kill Hitler, of course–it is putting the fate of humankind in the hands of Sam Elliott. 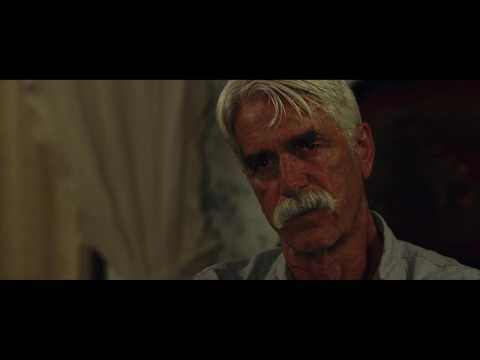 The pulpy historical drama stars Sam Elliott as a larger-than-life WWII hero.